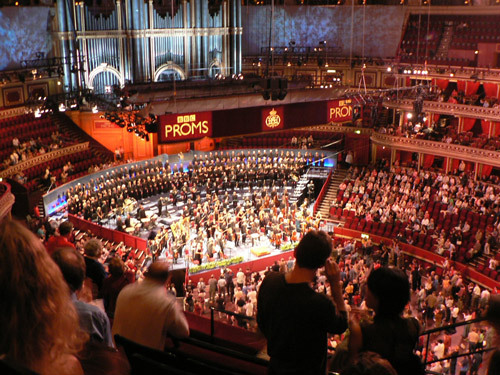 My last night in London was student night at the Royal Albert Hall. I stood in a long queue of musical wannabes that circled the hall twice. Outside, Prince Albert stood watching the procession. All of us were queuing up to hear the New York Philharmonic under Pierre Boulez play Elliot Carter's Concerto for Orchestra and Gustav Mahler's 9th Symphony. 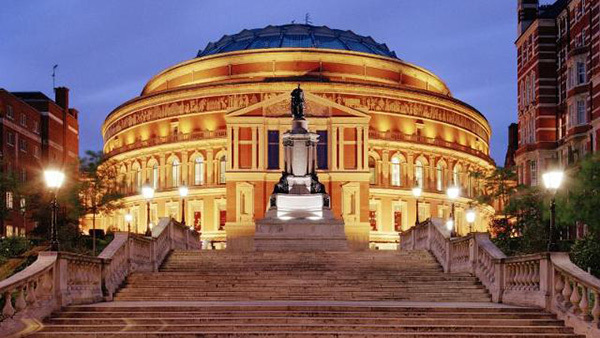 The Royal Albert is round and four or more tiers high. Wonderful acoustics. I tried all the tiers, but only had a ticket for the top. That's where the cheap seats are free, for there are none. The top tier is standing room only, unless you bring your own chair. There I stood with the other kibitzers while music students below playfully heckled the performers. The Philharmonic was touring Europe during the summer of '75, and it was a tradition that college students heckle visiting performers. 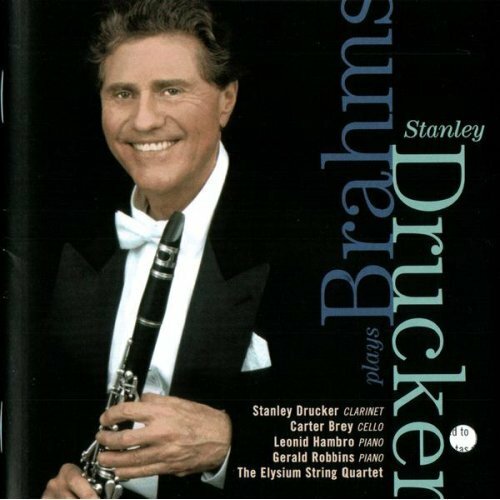 A few gave Stanley Drucker, the clarinet player, Mr. Drucker was principal clarinetist for 60 years with the orchestra, till he retired in 2009 at age 80. some jolly good flack. And he gave it back by improvising some satirical renditions on tunes by British composers. I did not stand for long, but found a comfy spot to lie down in and absorb the overtones bouncing around the walls. 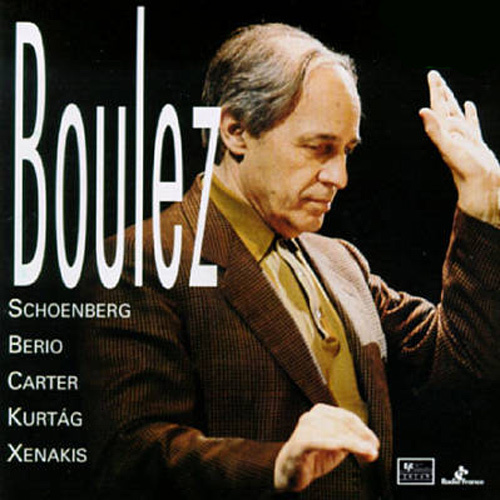 Elliot Carter wrote interesting textures, and Boulez's mission in life was to promote avant-garde music, like his own and Carter's, which excelled in describing the disintegration of the Victorian self after WWI. 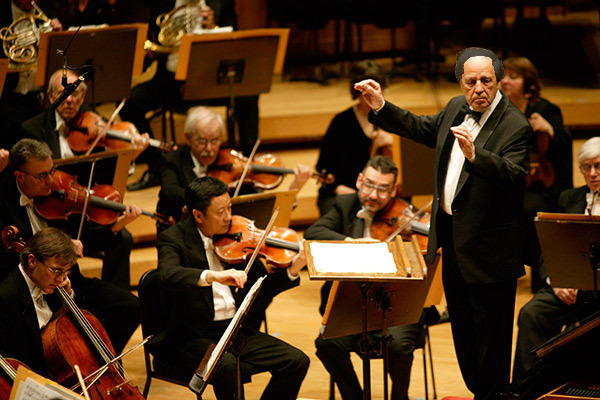 Mahler's music is a nostalgic lamentation for that self. 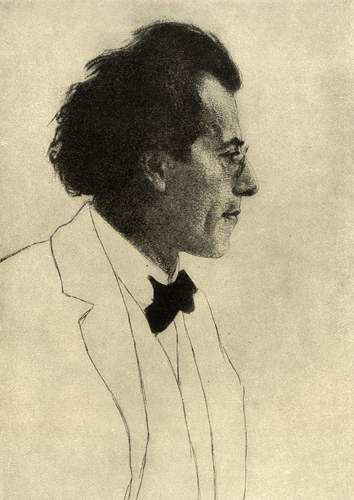 Music of the 20th century does not value romantic heroes, but Mahler did, and he wrote their elegies. After playing all his symphonies, Mahler became my favorite classical composer. He was a master of emotion. He could morph a feeling from bright to dark by pivoting on just one note. Mahler knew that we are each a massive symphony continuously vibrating zillions of minuscule wavelets. These wavelets play a theme, develop it, recombine it, turn it upside down, and recapitulate it. Recapitulate is just a fancy music term for regurgitate and recycle. Mahler's music transforms those wavelets into an analysis of the human soul that no other composer has yet to surpass. He knew how to make every part, even that of a lowly second bassoonist, inspiring to play. You can't say that about Tchaikovsky or many of the old war horse compositions. But Mahler knew what it was to play in a symphony orchestra, and he knew that each musician desires to play an essential, integral line that does more than accompany the violins.